How did we get here..
Couldn't have a more easy or more comfortable combo when it comes to putting a jumper with a maxi skirt, why i've never thought of doing this before is beyond me! It looks pretty cool too, well it's definitely something i'll be doing again, can't wait to experiment with more of my jumpers and maxis. Usually i'm all for fashion over comfort, but here i'm getting the best of both worlds! I love this jumper, it's big enough that it's big and snuggly, but not drowning me and it sits really nice around my hips. I'm in a bit of a rut at the moment with my life, don't really know how it's got to this, but got to keep plodding a long i guess. I decided to do a bit of retail therapy and spent a fair bit of money on some lovely bits & bobs from Boohoo last night which i cannot wait to come! For what i spent, i managed to get 6 different items, and i'm more than happy with what i chose! I love a slouchy top with a maxi, so effortless and casual chic! What an amazing sweater! It looks like it could be so versatile. That jumper is a lovely color! I love getting comfy in maxis and jumpers ! 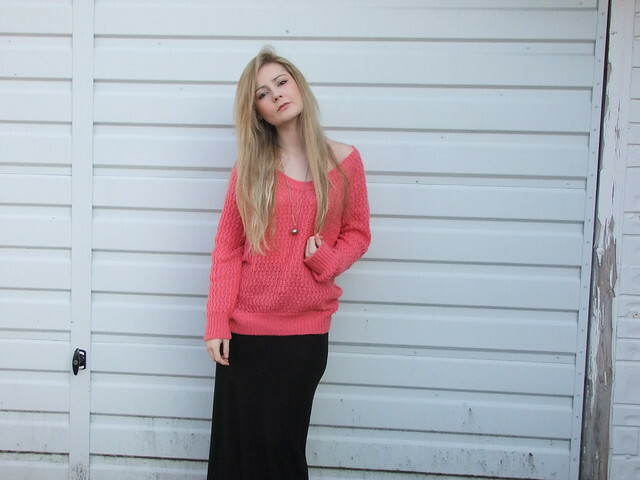 Love your outfit, the slouchy jumper looks so great with the maxi skirt! Retail therapy is the best. I hope you're feeling better girl! 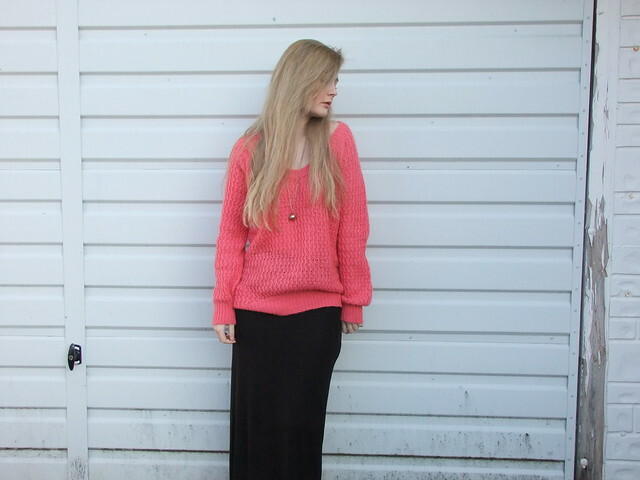 This is one of my favorite pairings - jumper + maxi skirt (or dress, even!) I'm all about comfort and fashion, and you're right, best of both worlds right here! Lovely outfit they go great together! 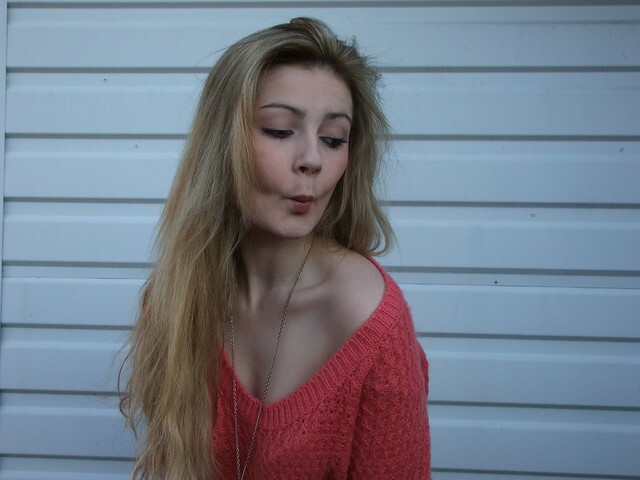 I love how comfy and slouchy the jumper looks! I love these two together! Definitely my kind of outfit - stylish but oh-so comfortable. Your hair is so lovely and long, and that last photo is beautiful, you look so cute! really nice outfit, so cozy yet stylish! This is so soft and pretty! 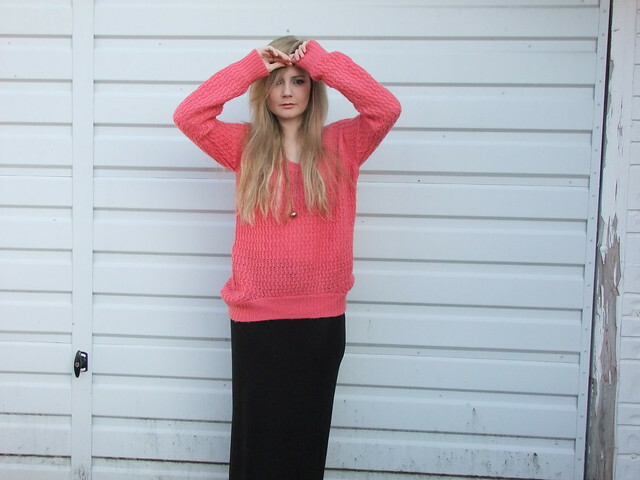 I love a good pink knit. Makes your skin look lovely. Your hair is so so outrageously divine!!!!! Love the colour of this jumper!